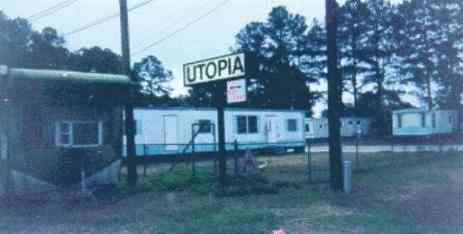 I'll bet you didn't know true Utopia was a trailer park in Jacksonville, North Carolina. This guy from Stow, Maine has been doing some remodeling. Notice the extra door in the front yard. You never know when that might come in handy. 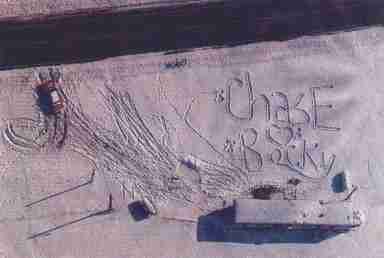 A greeting of love was carved in the freshly fallen snow in front of this trailer in Columbia, Ill.
Who does this guy think he's fooling with this trailer/barn combo in Indiana?! 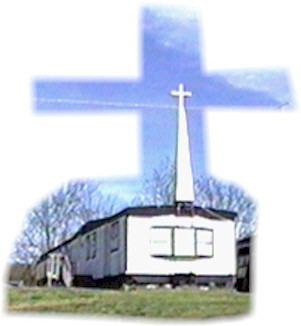 This trailer in Arkansas has been converted to a church. Just about every church I've seen has a steeple, and this trailer is no exception! This picture was taken in Nebo, Illinois. You know you live in a small town when your local Post Office is a trailer!